The second of the Telemann Fantasias for Solo Flute is in the key of A minor. Its opening is marked “Grave”, the slowest of all the tempo markings; after a few bars, however, this leaves place to a vigorous “Vivace”. 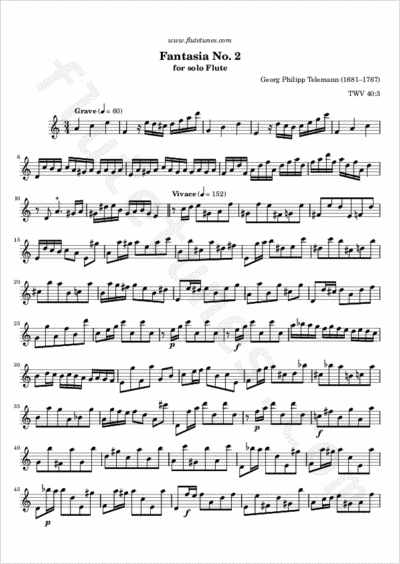 The following “Adagio” is a fully ornamented movement in the German style. Finally, a two-part “Allegro” in 2/4 time comes to take the tempo up again and close the Fantasia.